The PKI 4225 picks up the electromagnetic field of an active microphone. 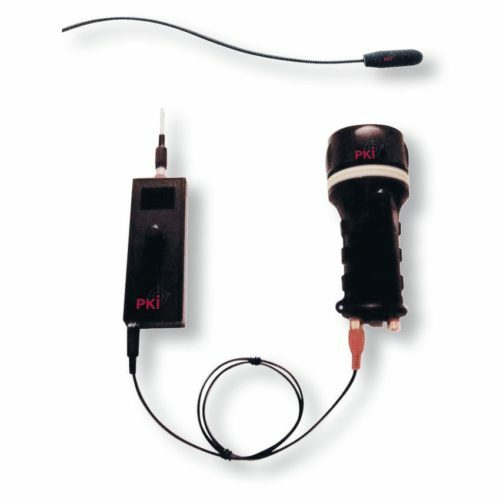 The localization of the eavesdropping device is done by an acoustic feedback detected by PKI 4225. The PKI 4225 can detect the electromagnetic field of a transmitting eavesdropping device. It converts this signal into an audio signal to which the operator can listen. Detection is done by creating an audio feedback signal.